爱齿特® Pit and Fissure Sealant with the latest American nanotechnology, containing 9% of nano inorganic filler, the flow characteristics of perfect and super hardness, dual methods can release fluoride and super sensitive photopolymerization curing design, is the best choice nest groove seal treatment. 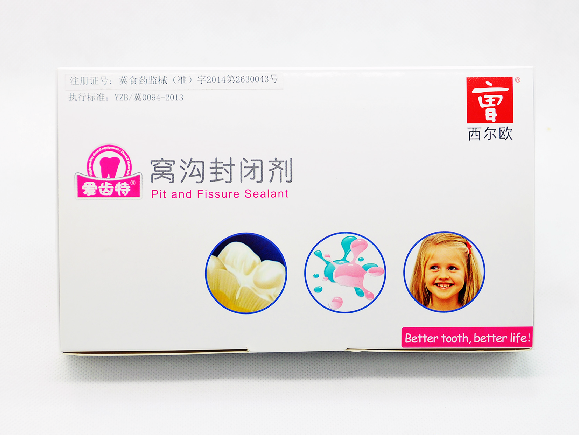 For the sealing of pit and fissure in the deep-surface tooth. Used in litter of ditch suspicious caries preventive filling. 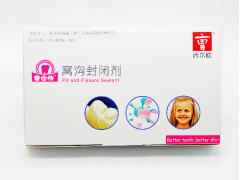 Fluorine formula, double effect for tooth decay prevention. Multiply choice color of Blue,white, pink, and transparent. 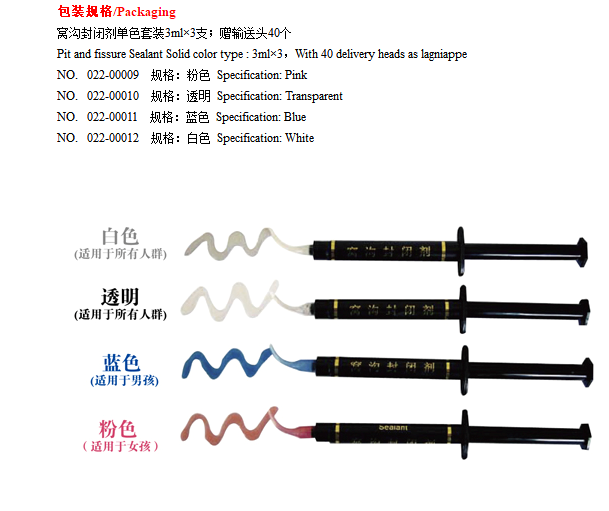 Best flowability, filling pit, fissure, point, slit rapidly. Light type, high compressive strength, good wear resistance. 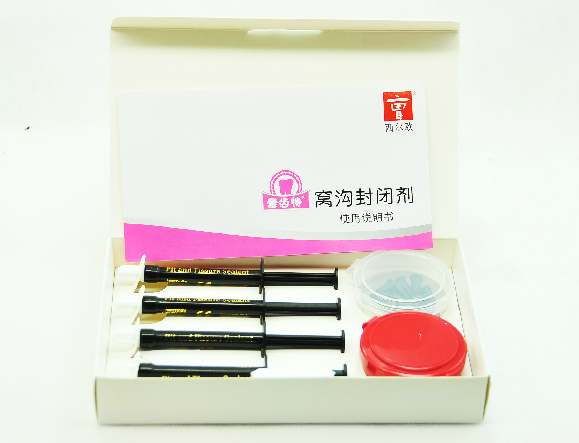 Used as a hole line agent can prevent secondary caries. Syringe package, with uniqueconveyor head.